At Vietcetera, we are constantly tracking the stories that connect most deeply with you, our readers. One such article explored the tribulations of Vietnamese returnees—a topic dear to our own hearts as well as to the hearts of our generation of young upwardly mobile Vietnamese. The shared experience of anticipation, anticlimax, and insecurity resonated, and so too did the perception of boundless opportunities once those hurdles were surmounted. The piece was called The Pain Of Coming Back To Vietnam. Of course, we wanted to dig even deeper into a cross-section of human-interest stories that explore the same topic. And given our partnership with Ho Chi Minh City-based boutique market research agency Decision Lab and their Market Research Consultant Program, we decided to start by meeting with three of their team, each of whom have a unique and very personal take on the challenges and the opportunities of coming home to Vietnam. Hoang has been away from Vietnam for sixteen years, ten years spent in Russia and six years in the UK where he completed a Master of Strategic Marketing Management degree at Aston University. 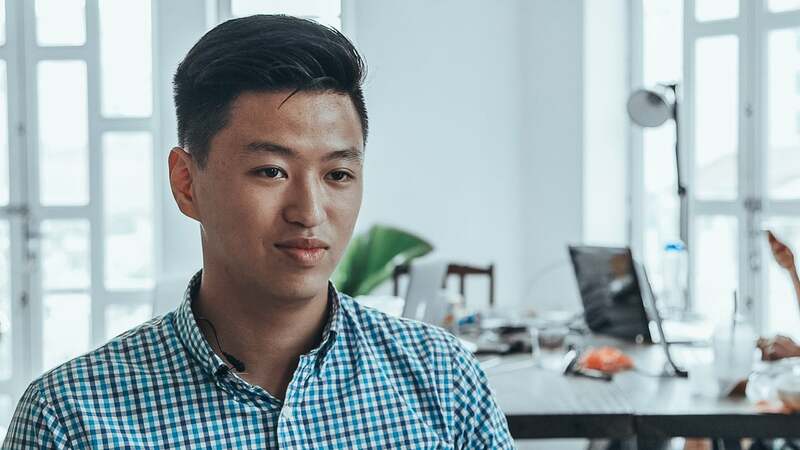 After graduating in 2016, Hoang returned to Hanoi but relocated to Ho Chi Minh City to work with Decision Lab. What sort of paths have your other returnee peers experienced in Vietnam? Of those who have returned, most entered the vocational field dictated by their studies. There’s a minority of friends who have changed their professional focus entirely. However, the common theme both for myself and amongst my peers is the challenge of finding a professional environment to which we feel we truly belong. The goal is not only to find an environment in which to learn but also where our skills are valued. What has your return to Vietnam meant for you professionally? Can you help us to understand what you currently do? Today, I’m an Associate at Decision Lab. 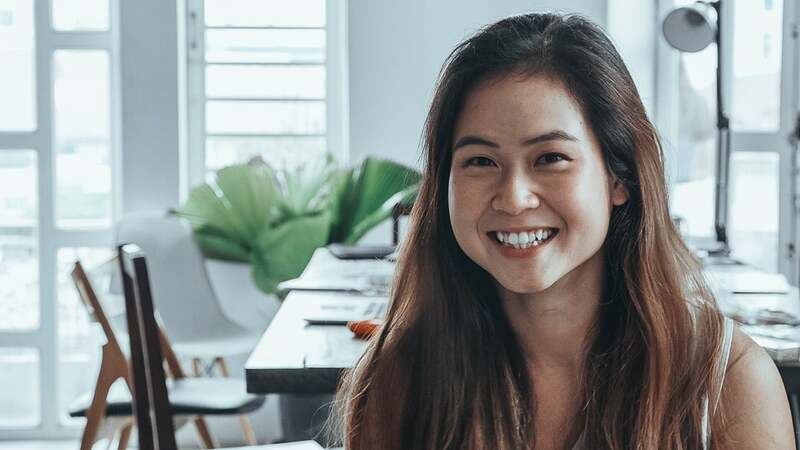 When I finished my degree in the UK, and after I had returned to Vietnam, I wanted to pursue a career with a market research agency. But at that time I lived in Hanoi and there weren’t many opportunities to do what I’m doing right now—tracking complex consumer behavior in a fast-developing region. That pushed me into the decision to move to Ho Chi Minh City, where I perceived the opportunities to be much greater. And of course that, in turn, led to my current position with Decision Lab. What helped to ease the transition of coming home? I lived abroad for 16 years in Russia and I also spent some time studying in the UK. Naturally, after a certain amount of time in any one place passes you have a feeling of belonging. That happened to me in Russia. I remember thinking, while I was at high school there, that I’d become more Russian than Vietnamese. Then, when I met and spent time with Vietnamese people who were studying at the same university as I was in the UK, I started to re-engage with my sense of self as a Vietnamese. With such a long time away, the feelings I experienced on coming back were pronounced, but quite quickly things just clicked. This was helped by an overriding sense of familiarity, despite all the time that had passed. Today, I feel like I’m 100% Vietnamese. I belong here. And I guess, it also helps that I really love Vietnamese food. What meaningful experiences has your career offered since your return? When I was onboarding at Decision Lab, Dat, my ex-lead on the Foodservice team, taught me a lot. My background was in statistics, but I had no experience in consulting. Dat generously guided me through the process of translating my hard skills into actionable insights—to articulate our understanding in ways clients can engage with. Actually, I learned that sometimes clients are not even sure what they want. Dat showed me that we can actually lead them towards more concrete expectations. We work with a lot of numbers. Being exposed to the professional expertise of people like Dat, who can relate this data on a human level, is something I will always aspire to achieve. I’ve switched teams since, but I still look up to his level of professionalism. Phuong Anh spent seven years abroad in the US. She earned a Bachelor of Arts degree in Psychology and Sociology from the University of Wisconsin, Madison in 2016. 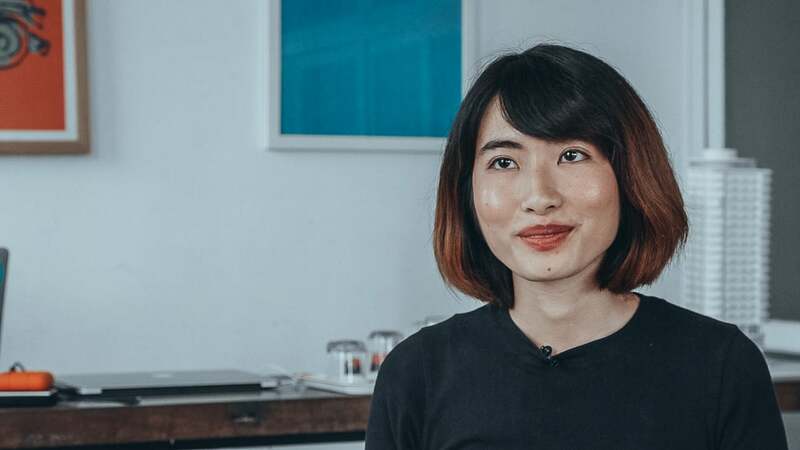 She’s been with Decision Lab since returning to Vietnam in August 2017. What is it about the Ho Chi Minh lifestyle that makes you want to return here? What sets it apart from other places you’ve lived? I grew up in Ho Chi Minh City. I’m used to the energy and the crowds. I also appreciate having access to the amazing food and also to the nightlife here. I wouldn’t compare it to anywhere in the US, except for maybe New York. Ho Chi Minh City is just so incredibly busy. Everything is always in motion, things move nonstop, and new things are popping up all the time—there’s a palpable sense that everything here is booming both economically and culturally. Plus my family are here with me which helps this feel like home. How do your feelings now, after two months here, compare to when you first returned? Originally, my preference was not to come back just yet. I was hoping to stay in the US for a little while longer. But various circumstances that arose a few months ago forced the move. I have to admit, I was sad in the beginning. But I was already prepared to move back to Vietnam at some point. Now I feel much stronger and rather glad that I moved back early, especially with all of the social instability in the US right now. I also have a greater appreciation of how much Ho Chi Minh City and Vietnam has changed since I’ve been abroad. It’s good to be back home. Who are you working with? Can you tell us what you’re currently working on? Currently, the Foodservice team has four people—myself, two of my seniors, and another associate. We’re a closely-knit team which means we can share experiences and opinions freely. I feel like I’m learning a lot as well as making friends in the company. We’re working a lot on our data books and reports for our clients, given that it’s nearing the end of the year. We’re also planning an event in collaboration with EuroCham for the end of the year. How international is Decision Lab’s working environment in Ho Chi Minh City? I’d say that where I’m working is truly international. That’s mostly because my peers have such diverse backgrounds. Many of them have studied abroad, often in countries other than the US. I’ve been able to learn from their experiences living and studying in countries I’ve never been to. I think we share an open-mindedness towards how we adapt to challenges and opportunities and how we approach our work and life. We also share a willingness to learn about Vietnam and to adapt to its modern incarnation. It is our home, but many of us have been away for so long. Have you found other inspirational communities outside of your work? I’ve met some Viet Kieus and other Asians from countries like Japan and Singapore who are living here. It’s been eye-opening and fun to meet a lot of different people. It’s helped me to understand how attractive Ho Chi Minh City can be to foreigners who are here to invest, work, study or even just to travel. Did you have certain expectations about returning to work in Vietnam? Now that you’re working here, how does the experience compare? When I moved to New Zealand, it didn’t cross my mind that I would come back to Vietnam to work one day. I initially came back because I wanted to take a break from New Zealand for a while. But when I first returned to Vietnam, I experienced a feeling of reverse culture shock. It took me two months before I was even able to apply for a job. During that time, I was just focused on adjusting to day-to-day life here. When, finally, I felt ready, I began my search for jobs and applied for roles in market research. I was lucky to stumble upon Decision Lab. At first, I didn’t expect much. I thought Vietnam would be very different from New Zealand. I assumed there wouldn’t be many chances to work in an international environment with professional, talented people speaking English all day. 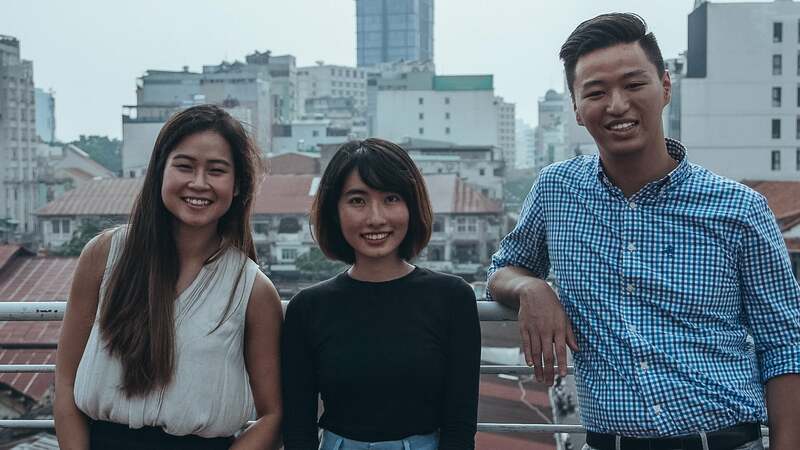 But after starting my career with Decision Lab and meeting with other young professional Vietnamese in Ho Chi Minh City, I’ve realized that Decision Lab is just one among many new, emerging companies in Vietnam. There are a lot of opportunities here, but it’s up to us to explore, develop, and learn too. The longer I live in Ho Chi Minh City, the more I realize that I love living here. Could you provide a few examples of the kinds of people you’re working with? In my team, I’ve had the chance to work with so many great people, even though they are kind of nutty—in a good way. There’s one coworker who’s amazing at math. She has an obsession with calculations and details. But somehow I find that really intriguing. I’m not an expert in math, but I’m learning a lot from her expertise. Are there any other things that helped smooth the transition? The greatest thing about coming back is the food. That alone has helped Vietnam feel more like home than the food in New Zealand ever could. Other than that, I interned for various companies here before applying for a full-time role. That helped me to understand what kind of working environment would suit me best. I met great people and I managed to try new career options that I wouldn’t have considered in New Zealand. Keen to work with peers like Hoang, Phuong Anh, and An? Make sure to check out Decision Lab’s Market Research Consultant Program.